(Seychelles News Agency) - This year’s Commonwealth Day, commemorated on March 12th, was a special one for environment enthusiast Terence Vel, who was recognised by Her Majesty Queen Elizabeth II – the Head of the Commonwealth - as the 39th Commonwealth Point of Light. 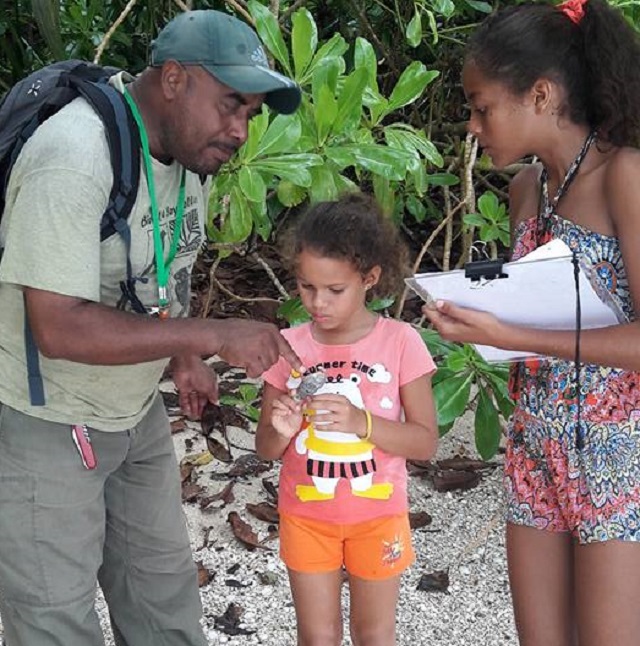 The accolade is in honour of Vel’s exceptional voluntary work running Wildlife Clubs of Seychelles and to provide environmental learning programmes for young people. Seychelles – a group of islands in the western Indian Ocean – is one of the 53 member states of the Commonwealth. SNA met with Vel to learn more about the former disc jockey who has traded his dancing shoes for sturdy hiking boots as part of his dedication to environmental conservation. SNA: Tell us a little bit about your childhood and background. TV: I grew up and spent my childhood in the central district of Bel Air, close to Victoria, the capital city. After my studies at the Seychelles Polytechnic, I joined the world of work. I spent 16 years as a laboratory technician in various secondary schools. Believe it or not, I was also a DJ for over 10 years. My favourite discotheque was the ‘Kapatya’ today known as 369 discotheque as well the discotheque at Coral Strand. I have also worked on several other projects such as with the sheath-tailed bat, the scops owl as well as identifying key biodiversity areas. I have also worked on and co-authored several publications. SNA: What is the Wildlife Clubs of Seychelles? TV: The Wildlife Clubs of Seychelles organisation was founded 24 years ago, in 1994. I was one of the founders alongside many well-known people concerned with the rich and unique environment of our islands. These included Professor Rolph Payet, Dr Nimal Shah as well as Dr Michele Martin. Over the years. I managed the organisation’s projects and coordinated environmental programmes in 40 schools on Mahé, Praslin, and La Digue. So when I look back, I have done a bit of everything - coordinator, club leader, and today chairperson. The clubs provide young people with the opportunity to learn about ecosystems, native wildlife, and the environment. Over the years I have worked closely with local government authorities mainly the Ministry of Education to set up clubs in the majority of schools across Seychelles. The clubs now have over 800 members. We organise regular activities for school children in order to raise awareness of environmental issues. SNA: Apart from the clubs you are also involved with the University of Seychelles? TV: Yes, I joined the University of Seychelles in 2015 as a science laboratory technician and a field lecturer for BSc environmental science students. Basically, I am responsible for the day to day management of the laboratory. I am also a field lecturer assistant at the university and this involves field practicals with hands-on activities. I also give lectures to Unisey Students in research method and skills. With my vast experience in environment and conservation, I also assist the third year BSc students with their thesis and finally. I also assist with the recruiting of new students. SNA: Where you expecting such recognition? TV: Not from Her Majesty. But over the years I have received some recognition. I have won two consecutive President Awards for making a difference for the Seychelles' environment for two consecutive years in 2002 and 2003. 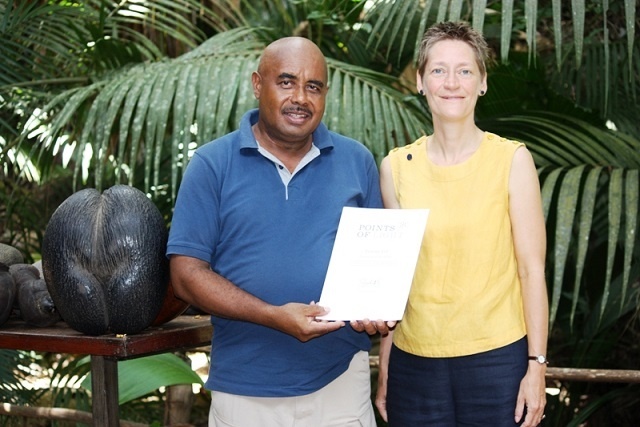 The President Award for making a difference for the Seychelles' environment was initiated by the former President France Albert Rene. 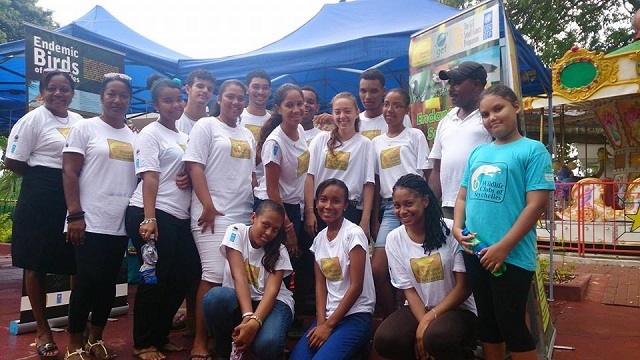 I was selected as Environment Educator as Wildlife Club volunteer Coordinator working with Seychelles Youth. In 2000 I worked as a technician on a project called ‘Avian ecosystems in Seychelles’, which was funded by the Global Environment Facility and implemented by the former Birdlife Seychelles now Nature Seychelles. It had to do with new species and interesting new records of spiders from Seychelles. A spider – Lionneta veli n.sp was named after me. As a technician, I was collecting invertebrates for the project which run from 1999 to 2001. SNA: How does it feel to be recognised by such prominent figure – The Queen? TV: It is with great admiration that I accept the Points of Light Award on behalf of every Seychellois citizen, offered to me by Her Majesty the Queen as the Head of the Commonwealth. This award is a great achievement in my volunteering work with Wildlife Clubs of Seychelles and with the community- based organisations, thus promoting conservation action in the Island Paradise of Seychelles through environmental education and to be a force for positive change. SNA: As a volunteer, there is no monetary award, but what is your greatest satisfaction? TV: My greatest satisfaction and from the bottom of my heart I can say I did make a difference in my country and for my country – a world champion in the environment. I am proud of these achievements but I also feel the calling for me to do something for myself now. It has been a while since I have been thinking about doing my BSC and my Masters. In the past, I was offered such opportunities. But I could not because I was committed to other projects, but I think that the time has come and I will be doing just that!